Turnersburg, a historic town eleven miles northeast of Statesville and three miles south of Harmony, is situated on lovely rolling hills and valleys. The first owner of record we have for the home now known as the 1812 Hitching Post was George Locke. He owned a sawmill at Locke’s Shoals along Rocky Creek. There were a series of earthquakes recorded on December 15, 1811, January 12, 1812, and two on February first in 1812 associated with the New Madrid, MO, quake. The quake leveled a log cabin that had existed on this property owned by George Locke. The quake caused many properties of that time to change ownership as many chose to leave and others took advantage of that opportunity. In 1812, Aaron Dyer Gage, a surgeon from New York, moved here and bought a tub mill (a mill that sits and turns sideways in the current without a dam) and the leveled house from George Locke. Using the original logs, a 2-story cabin was constructed by Notley Tomlin, a local house builder, under Gage’s direction. That part of the 1812 Hitching Post still stands. Wilfred Turner became the owner of the home about 1840. Two of Turner’s daughters, Adeline Dorcas and Ella Emily, married M. K. Steele and L. T. Stimpson. Mr. Steele and Mr. Stimpson subsequently opened a store in Statesville called Stimpson and Steele Mercantile. Wilfred Turner, M. K. Steele and L. T. Stimpson, rebuilt the Turnersburg mill in 1890 after the original mill burned in a fire. A gin and general store were constructed and houses were built for the people who worked in these various enterprises. The water power to run some machinery in use was obtained from Rocky Creek. The property was continually in the hands of the Stimpsons, Steeles, Turners, and Tomlins for over 100 years. 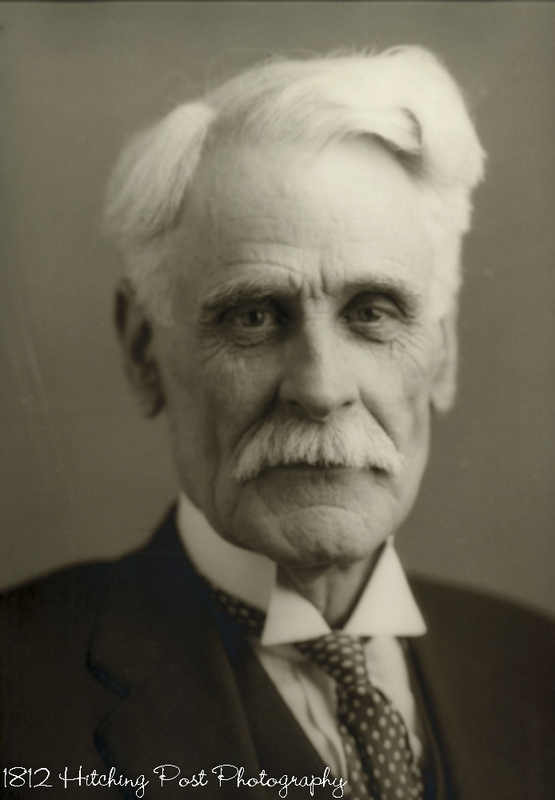 The eldest son of Wilfred Turner was Columbus Lafayette Turner. C. L. Turner’s grandson, Walter Turner, has written a book called “Worthy of Record” containing the Civil War writings of his grandfather. The youngest son of Wilfred Turner, Wilfred Dent Turner, was born here. He later served as Lt. Governor of North Carolina from 1901 to 1905. Coincidentally, the brother of Wilford Turner, William Hatch Dent Turner, married Elizabeth C. Campbell. Elizabeth was the 4th cousin 4 x removed of current owner, Wendy Waldron (Wendy’s grandmother’s grandfather was Elizabeth’s grandfather’s brother). Wendy discovered this connection to the home when doing genealogy research in the late 1990’s. 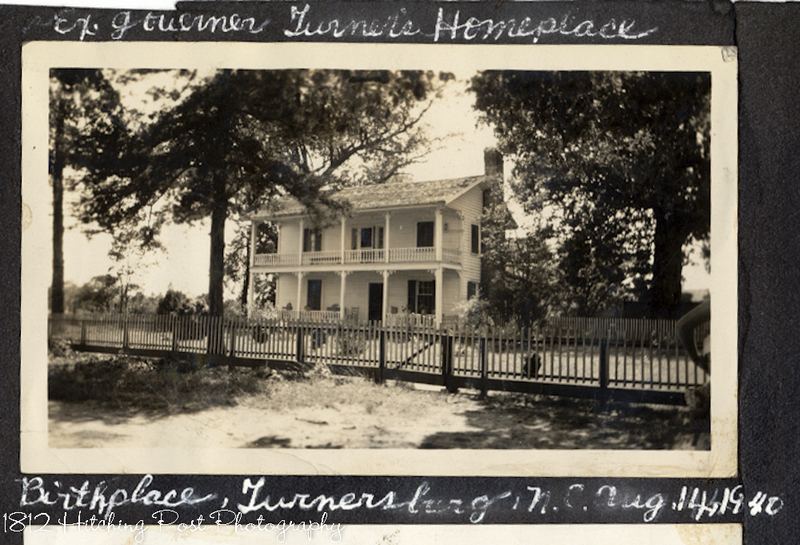 In 1940, the village of Turnersburg was bought by Columbus Vance Henkel, Jr. and Robert Spilman. After a short while, C. V. Henkel bought Robert Spilman’s interest and also bought the Wilfred Turner house. Senator C. V. Henkel, Jr.
C. V. and his mother restored and enlarged the former Wilfred Turner house until it contained fourteen rooms. The house was painted pale yellow with white trim and dark green shutters. The yard was beautified and enclosed with a white picket fence. Some of the boxwood bushes in the yard were brought there by Lila Spilman, sister of C. V. Henkel, from her Knoxville home. 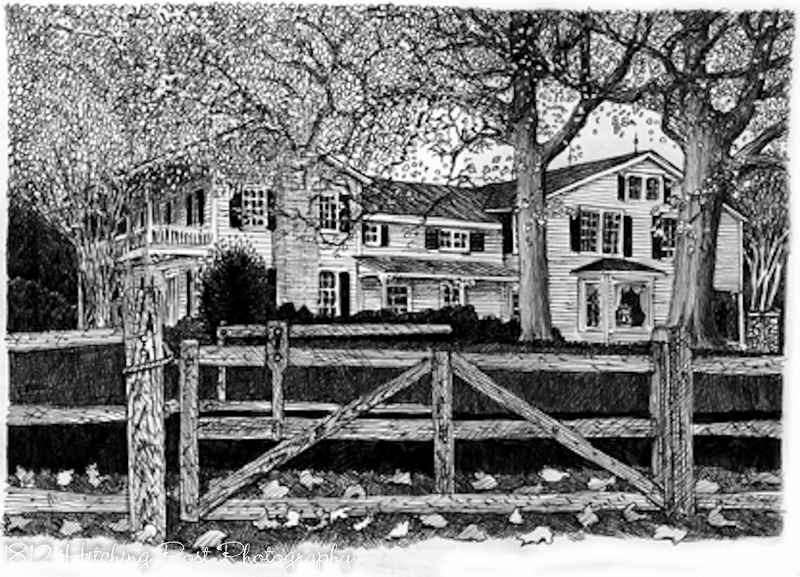 The property was expanded under C. V. Henkel’s ownership to include the Cottage house, Carriage house, and Barn. C. V. continued to buy land until he owned over 1000 acres. The creek at the foot of the hill behind the house was dammed, stocked with fish, and a boat house was built. 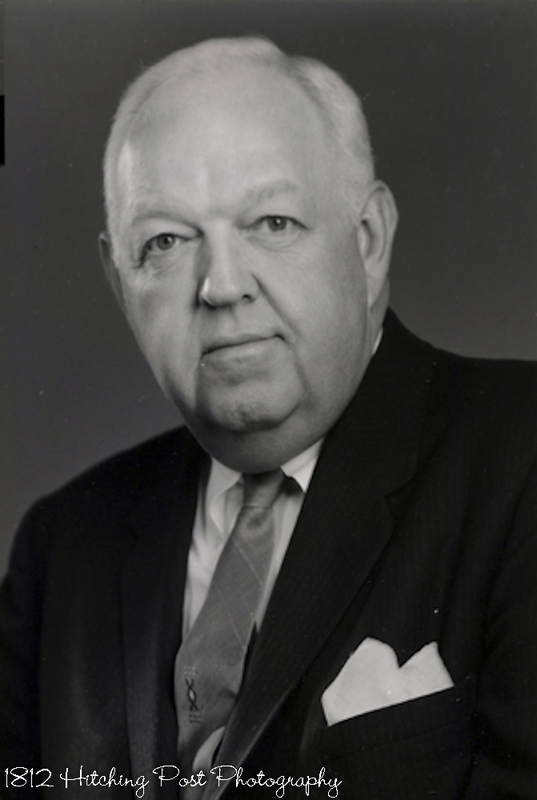 C. V. Henkel represented the country for five terms in the state senate and died at his Turnersburg home. The newspaper, “The Blowing Rocket” was begun as a tabloid by state Senator C.V. Henkel in June 1932. Thoroughbred show horses were pastured and trained here. Night Owl, foaled in Turnersburg, was sold to the US Olympic team. He became the favorite mount of the team captain and was shown in Ireland, Sweden and other foreign countries as well as in America. As the horses grew older, they were turned out to pasture. Both Night Owl and C. V. Henkel’s favorite, Red Sails, are buried in the front pasture. There are plenty of interesting stories about the property; ask Patrick to tell you the stories about Senator Henkel’s pink Cadillac or the clandestine visit to the home by President Lyndon Johnson when you visit! The Waldrons are the current owners of the 1812 Hitching Post Farm. Patrick Waldron has owned the home since 1983. He is an internationally known designer and artist with a strong interest in history. Wendy joined Patrick in 1999 and is a photographer and event coordinator. Wendy also has an interest in genealogy, web and graphics design, and she was formerly a registered nurse. Both Pat and Wendy are romantics and have lovingly decorated the 1812 Hitching Post with treasures and finds that have captured their hearts. When looking for a place to get married themselves, the Waldrons discovered how difficult it was to plan an intimate, stylish, and romantic wedding that is unique and creative without spending a fortune. They created The 1812 Hitching Post so brides of today could still have the elegance and comfort of a wedding in a homey setting from the past. Henkel Bros; company owned by CV Henkel, Sr.
Advertisement for horses and mules from 1900 Henkel Bros. It was great to learn some of the history of Turnersburg. Thank you for this well-written article on the town, community and your home. I hope to visit it someday.